Mr. Bergmans has focused his practice on helping others with the issues that matter most in life – family and marriage. A good family lawyer today must know far more the just family law. He must have a working knowledge of tort law, contract law, real estate law, business law, estate planning, and any number of other areas which, in and of themselves, constitute "specialty areas" in the law. He must also possess knowledge of accounting and valuation principles as those areas frequently impact a family law matter. Your family lawyer is much more than a smiling face in a new suit. Your family lawyer must be a highly educated, well trained experienced professional who stays at the cutting edge of his profession through constant efforts at continuing education and self-improvement. All of this knowledge comes together to help you navigate the sometimes turbulent waters of your divorce or other family matter. Henry J. Bergmans can bring a wealth of professional experience and legal skill to your family law matter. Mr. Bergmans strives to provide each client with legal representation that is tailored to their needs. He will go through each step of your legal matter with you so you can make informed decisions each step of the way. 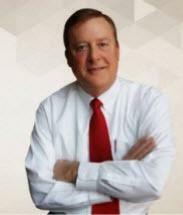 He will answer any of your questions and keep you apprised of any developments in your case. With Mr. Bergmans as your advocate, you can count on reliable, informed, and thorough legal service. With decades of dispute resolution experience, Henry J. Bergmans can provide you with the effective advocacy you need in your family law matter. Mr. Bergmans honed his negotiating skills by leading dispute resolution for a corporate 100 company. He has developed a reputation for the ability to handle the most critical and challenging situations. He brings his energy and diligence to serve you and your case. His ability to adapt to different scenarios and personalities means you can depend on advocacy that is tailored to your particular case. Whether you need representation in a divorce, counseling on the division of property, or spousal support matter, he is committed to putting his negotiation and advocacy skills to work for you. Mr. Bergmans is dedicated to the practice of family law, which means you can rely on knowledgeable legal guidance in this practice area. While some family law cases inevitably must reach the courtroom before they are decided, it is possible to resolve difficult matters such as divorce and child custody through a collaborative approach. Mr. Bergmans is a proud proponent of the collaborative practice approach, which allows you and your spouse to work with attorneys and other professionals in fields such as accounting and psychology to reach the most amicable and healthy solution possible in your marriage dissolution. By offering the collaborative approach, Mr. Bergmans strives to help his clients not only protect their best interests during a divorce, but also to reach a resolution that is sustainable over time, and as positive as possible for all family members. Henry J. Bergmans is committed to providing his clients with personalized service. Mr. Bergmans understands how complex the legal process can be, and how emotionally draining it can be to you and your family. He is ready to answer all of your questions and explain each step of the process, spending the necessary time to make sure you fully understand the legal implications of each decision you face. Mr. Bergmans can provide you with an honest assessment of your case and offer you realistic solutions to help you through this difficult time.